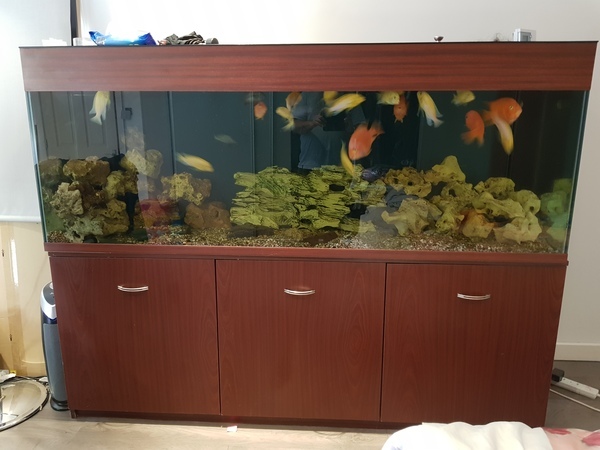 This tank has been custom designed to cater for tropical and marine fish. Therefore more costly. Its in good condition and fully working as a tropical tank currently. To make this a marine tank all you need to do is change lighting and add a skimmer.